BG has a new football verbal. It is Dirion Hutchins, a DE from Francis Howell HS in St. Charles, MO. He appears to be have played strong-side at Howell, but according to Yahoo projects to a weak-side DE in college. We shall see. He doesn't have any starts from them, but that isn't something I tend to get too worked up about here. You need players who can fit a system and you need a bunch of them. Talk to me in five years. According to Yahoo, he's 6'2" and 215 pounds. (Could also translate to LB at BG). Anyway, he had one offer he had only one other FBS offer--from Ball State--to go with a number of FCS offers. Yahoo says he had a 5-something 40 yard dash, which is a little surprising given that you can see he ran a 25.4 200m in HS track. He had a 9'5" standing broad jump, which seems to be good based on this article. He also wrestled. On this blog, we like guys who play multiple sports. We also like productivity. As a JR, Hutchins played on a REALLY good team. They were 11-1 with a 513-116 score differential. Hutchins was 13th in his conference in tackles (with 61) and 4th in sacks with 5. Welcome to the Falcons, Dirion. Heeding the wishes (according to this story in the Plain Dealer) of its coaches, the MAC Men's Basketball program is abandoning the current tournament format and moving to a more traditional one. Currently, the top 2 teams get a bye to the semi finals and the next two teams get a bye to the quarterfinal. The Bottom 8 teams play two rounds before they meet one of the top four seeds. The new format will be what was for many years the traditional format. Four byes, but only into the quarter final. I might have been the only person who liked the "super bye" format the way it was. It created huge drama in the end of the regular season, meaningfully rewarded teams for excelling in the regular season and helped (in theory) ensure that the tournament produced the MAC's best team for the NCAAs. The stated criticism in the story is a fair one: when you have a close season, as you did this year, you have incredibly significant seeding decisions being made based on tie breakers that slice increasingly thinly the deeper they get. The MAC had a three-way tie for first and one of those teams was going to be at a disadvantage. And while the same could happen when separating a #5 seed from a #4 seed under the system that will be in place next year, the impact isn't as great. I think the unstated reason is that every coach wants to be able to save their season in the tournament and this made that a lot harder. Under the system we are going to, you can spread the wealth a little, which is good for Coaches under pressure to succeed. On the plus side, this does set up the tournament for a Cinderella run, and when OU made a run of that kind, they ended up winning a game in the NCAA. My bias is always to weight things toward the regular season, which is the best test of which team is best, but that's clearly out of step with the way the world is viewing things. Just a couple check-in posts this week...first with football. This is a very different off-season than last year, when we feel in for a massive, high-profile hype campaign about Falconfast that included videos showing the coach changing all the speed limit signs, etc. As the defending champions, there were high expectations. Of course, those expectations were not met. The team went from the best team in the MAC to the 4th or 5th best team in the MAC...from 3rd in the MAC in scoring offense to 8th, from 1st in the MAC in scoring defense to 8th, all while losing all our cross-over games and taking the worst defeat in the history of the MAC title game. I predicted that the off-season would be quieter and I think I was right. And I think that was the right way to go. After the last off-season...the manic press conference following the Indiana win, then the excuse-making, insincere reasons for why coaches were moved, etc, people were not going to be in the mood for more Baberdocio. They were going to be in the mood to see results. The defense will be better because of the new DC he hired. We have the best backup QB in the country. Anyway, the point is I think we are immune to the jabber right now. Let's see it work. One thing he is reported to say that I agree with is when he urged fans from outside the immediate area to focus on the three Saturday home games for attending, and not to worry too much about the weeknight games, which are hard to do if you are out of town. I thought that was a smart piece of marketing. H/T to Hustle Belt and Ken (in comments) for this one....BG has another verbal and this one is a QB. His name is Elijah Cunningham, though he looks more like Richie Cunningham. He is a '16 recruit and a pro-style QB from Springboro, OH. Springboro is between Dayton and Cincinnati. He is a highly rated recruit. Rivals gives him 2-stars and ESPN gives him 3-stars. He certainly has the right size, at 6'3" and 177 pounds. As a junior, he was named to the All-Area 2nd team and all-District 2nd team. His junior stats line is pretty good. He completed 59% of his passes for a 14.2 yards per completion average and 22 TDs over 7 INT. His QB rating was 153. He only attempted about 22 passes per game, so it was not a pass-heavy offense. They were 9-2 for the year. There seems to be a lot of interest in him, but his only other reported offer was Akron. ESPN's scouting report says he has the arm strength to make all the throws and is a smart QB who understands defenses. He is mobile in the pocket. Remember, BG doesn't really look for dual-threat QBs under the Babers regime. Looks like a very interesting player for us. As last year showed, you can't have too many QBs. I have a hunch this young man hasn't heard the last from recruiters. BG has its 3rd verbal for the 2016 class. This one is from Terence Stephens, a two-way player from Imperial HS in West Allegheny PA. That's in the western part of the Pittsburgh metro area...and you know how this blog feels about football players from the Pittsburgh area. He was a very productive player as a Junior....again from Hustle Belt. Stephens finished his junior year with 912 yards and 14 touchdowns on the ground while also accounting for over 50 total tackles and two sacks on defense to help lead the Indians to an overall record of 11-2. The assumption seems to be he's going to get to play on offense, but the defense stuff is great for special teams work, which is always important. He was one of the Post-Gazette's top 25 2016 players and was on the Pennsylvania Scholastic Football Coach's Association top 2016 recruits list. He played on a really good team last year-they were 11-2--and the Coach at West Allegheny is Bob Palko, who has been there a long time and whose son was QB for the Panthers. In today's football, you can't have too many RBs, so welcome to the Falcons, Terence. So, BG has its first two football verbals. It might seem late, but you don't really see us getting many verbals until now...in fact, it is a little bit early, as far as that goes. Two things here. Coach Babers alluded to this in his signing day presser, but from what I hear he has a very different recruiting style. He likes to get to know the players very well...the players and their families. This makes the process slower, but hopefully more effective and yielding players who are good fits for the program. We shall see on that. The other thing is that most of the teams in the MAC have a small number of verbals right now. The exception, of course, would be the Kalamazoo Boat Rowers who have 13 verbals already, with 2 decommits. We shall see about that, too, but Fleck's early results are good, for sure. For BG, the recruiting season started with Kyree Calli, a 2-star WR from Bishop McDevitt HS in Harrisburg, fondly remembered as the HS home of BG's championship QB, Matt Johnson. He looks to be a nice fit for our offense, at 6'4" and just a nudge under 200 pounds. He was very productive as a JR, catching 36 passes for 10 TDs and 20 yards per reception on a team that went 14-1. The other player is Sharif Saleem, a DE from Cleveland Central Catholic. He's tall...6'7" and therefore an imposing pass rusher, either from the edge or blocking lanes in the middle of the line. He's not heavy--210 pounds based on what I found online--but there's time to build that out once he gets here. His stats only show him playing 3 games last year, but he transferred from Cleveland Heights, so that could have played a role or maybe the stats are wrong. Anyway, welcome to the Falcons, Kyree and Sharif. 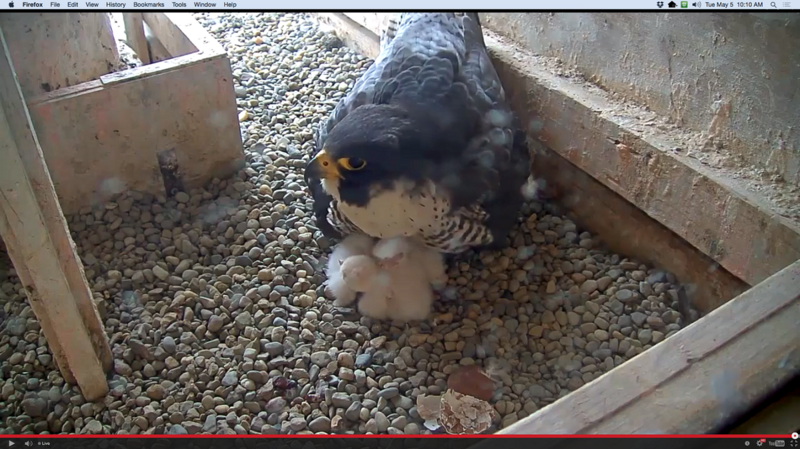 Here's our newest Falcon Mom. Be nice to your Mom today. She was nice to you and it wasn't always clear why. It appears Austin may stay. So, buried in a story about the Anthony Stacey appointment and other men's basketball news is this sentence, dropped at the end of a paragraph, as if to say "I'll just leave this here." So, the new assistants at BGSU for Men's basketball have been named. It won't be a surprise to anyone that all the Jans assistants were let go. Huger brought in three new assistants, each of which has been rumored in various formats. The big name is Anthony Stacey. This was picked up when Huger was announced as Head Coach. There is probably not a bigger hero to Falcon fans in recent years than Stacey, who was MAC Player of the Year and is the all-time leading scorer in BG history. He played professionally for 9 seasons in Spain before returning to the US. He coached in HS for three seasons, started last year as an assistant at UT before leaving early in the year. The announcement says he will work with the post players. The second assistant is Louis Rowe, who was an assistant at Florida International University, which is in Miami, where Huger also coached. Rowe played at Florida and James Madison (for the legendary "Lefty--don't talk to me about suhtistics" Driesell). He was all-CAA at JMU before playing professional in Europe for 11 seasons. He has been an assistant at JMU, Rider and FIU. The third assistant is Mike Sumney. 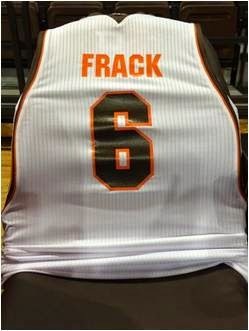 He comes after being the associate head coach at St. Francis, PA, which BG beat in the CIT last year. He was the DBO for Miami under Larranaga while Huger was there. Interestingly, he did not play college ball and worked as a student manager for Herb Sendek at NC State. In addition to St. Francis, he was a head coach for one season at Bethany College (DIII), North Florida, The Citadel and Queens University. The key take away from this staff is youth. Stacey graduated from college in 2000, Rowe in 1995 and Sumney in 1997. I don't know their age, but that would make Rowe the oldest in his early 40s. Huger graduated in 1998. Obviously, he is accountable for the results, but Huger has chosen a very young staff to help him coach the Falcons. Welcome aboard gentlemen. Let's win a MAC Championship. Boom! From the top of the Wood County Courthouse, the chicks have hatched. Your heartwarming moment for today....enjoy, they will eventually be ruthless predators. BG has now picked up what is anticipated will be its 3rd new player for next season and the second signed by Coach Huger. This is Wesley Alcegaire, a G who played JUCO ball at Daytona State. Before that, he did have a D1 deal at Liberty. When he got to Liberty, he red-shirted and then decided to leave after playing in 13-14 but only about 2 minutes per game. He transferred to Daytona State, where he had some success. He only played one season there since he had already played one at Liberty. He was succesful...he scored 17.1 PPG, shot 46%, made 37% of his 3FG and had 6 RPG, and all that came in only 26 minutes per game. It was a good team, they were 21-8, they won their conference and those are good numbers. He does have decent height, which could be an advantage at that level. With BG losing Clarke and Henderson, we clearly need some help at G and Alcegaire might be able to stretch to a 3 if need be. Welcome to the Falcons, Wesley! So, the NFL draft is done and the free agent situation is shaking out. It wasn't a great draft for the MAC....Quentin Rollins went in round 2 to Green Bay, and then two DL's---CMUs Letterious Walton and Kristjan Sokoli went in the 6th round. Finally, Da'Ron Brown of NIU (WR) went in the 7th. Perhaps most surprising was that Titus Davis was not picked in the draft. He was named as a UDFA by the Chargers, but I think there was a lot of anticipation that he would be drafted, particularly over Brown. Hustle Belt has an update on where MAC players are headed and you can check there to see if there are any updates. You can see above where BG's players landed. It is sometimes tough to tell, but it appears that it is a straight UDFA deal for Martin, Lynch and Montgomery and a try-out for Adjei-Barimah. It wasn't a great day for the MAC, but the last two years had unprecedented top-five picks, so maybe some course correction was to be expected. 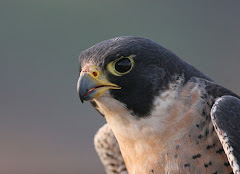 We'll keep a close eye on the training camps waiting to see if the Falcon prospects can make the roster and realize their dream of playing in the NFL. Either way, they will always be champions in our hearts, whether they make the NFL or not. Thomas Schmeltz reports that Jude Adjei-Barimah will not make a mini-camp appearance....and the following on DJ Lynch. In other news: Kansas City pulled it's contract offer from DJ Lynch. He'll be in mini camp w/ Patriots this weekend. Lynch's knee scared KC.